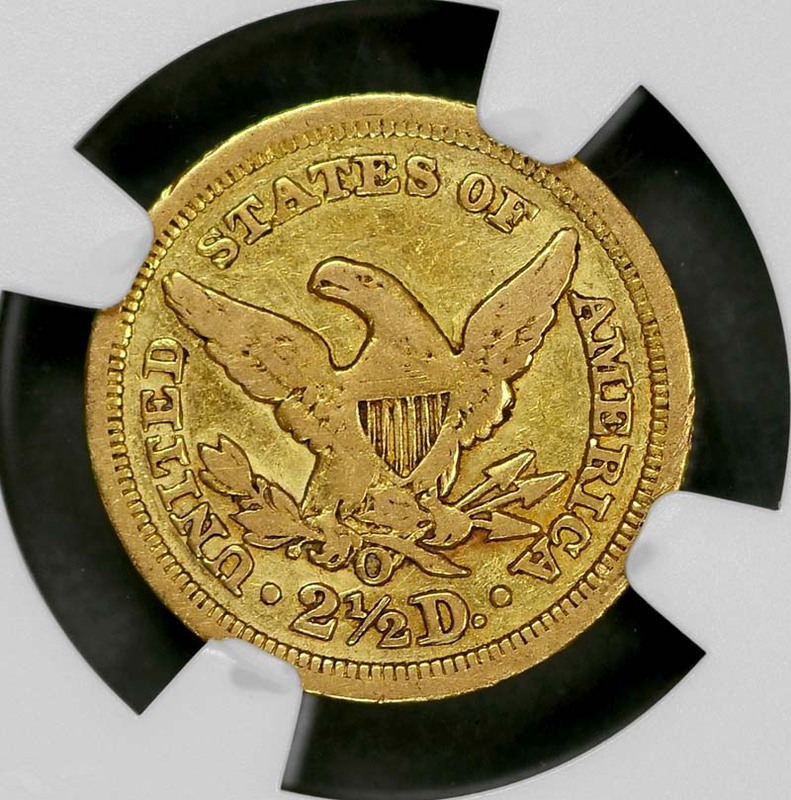 Mintage: 84,000 The most interesting feature of the 1850-O quarter eagle is the extremely poor quality of the strike on most known examples. The central portions are usually very weak, to the point of looking mushy. 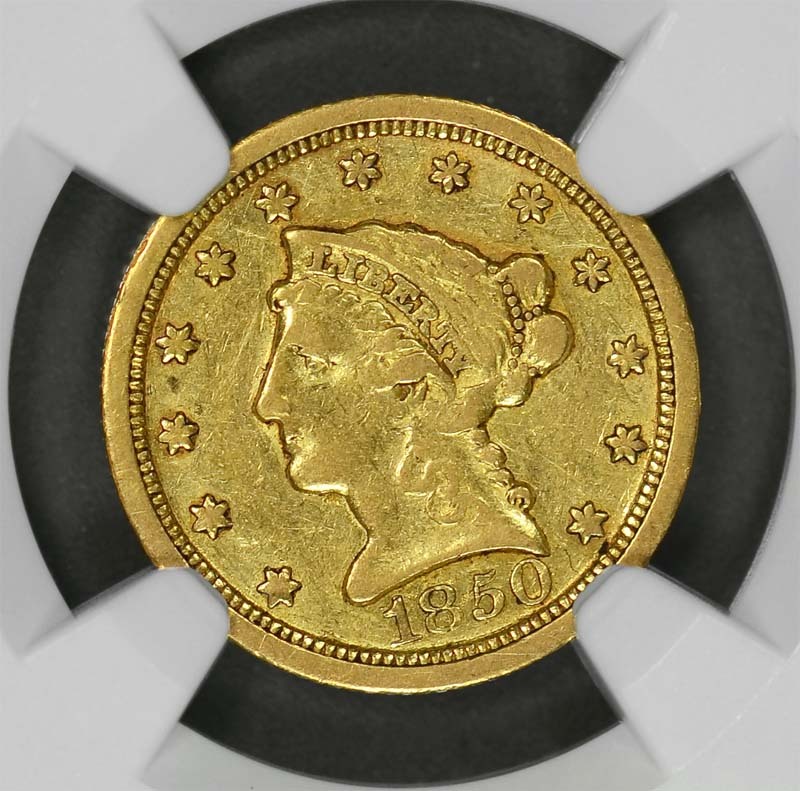 Grading coins of this issue can be difficult, and one must use any remaining luster as the primary guide. This date is scarce in all grades, and just a few coins are offered for sale most years. Not surprisingly, the Harry W. Bass, Jr. collection contained nine examples. This date is very rare in full Mint State, particularly in choice condition. 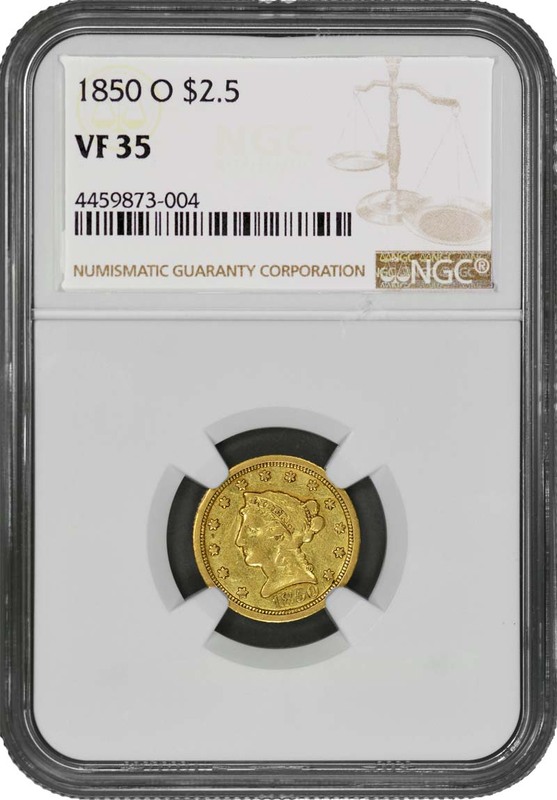 The Bass Collection featured two coins that were graded MS-63, but the Eliasberg example had a rim nick that kept that coin from being certified. 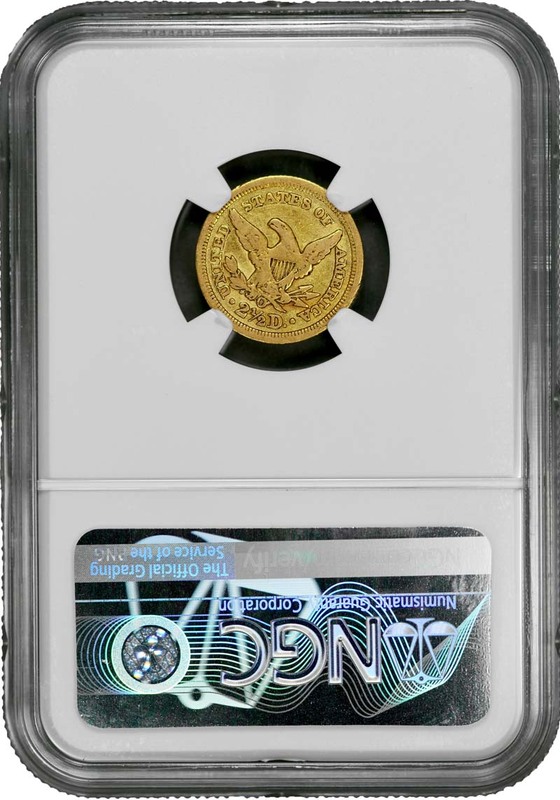 The Smithsonian coin is a stunning choice MS-63 example, one of the finest known.